First a bit of a story from this storyteller. It was by Edward Gorey -- if you're a fan, as I am, you probably recognized it being by him. Perhaps the name doesn't ring a bell, but if you've watched his wonderful animated introduction to the PBS series, Mystery!, then you've seen his style in action. He didn't do the animation, Derek Lamb did that, but it's definitely based on his art. I fell in love with him through his delightfully macabre illustration of children's books and went on to prowl his other books and artwork. Wikipedia rightfully compares him to Charles Addams (another favorite of mine!) and says he's "an iconic figure in the Goth subculture." I'm no Goth, but greatly enjoy both author/illustrators. 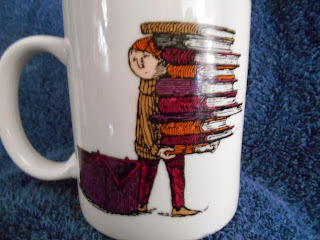 Not all of that is visible and it needs to be seen: So Many Books - So Little Time. That certainly is appropriate for this bibliomaniac. My publishing Public Domain works from my own library makes that obvious. What I didn't know until later that day was Edward Gorey died that very day at age 75. 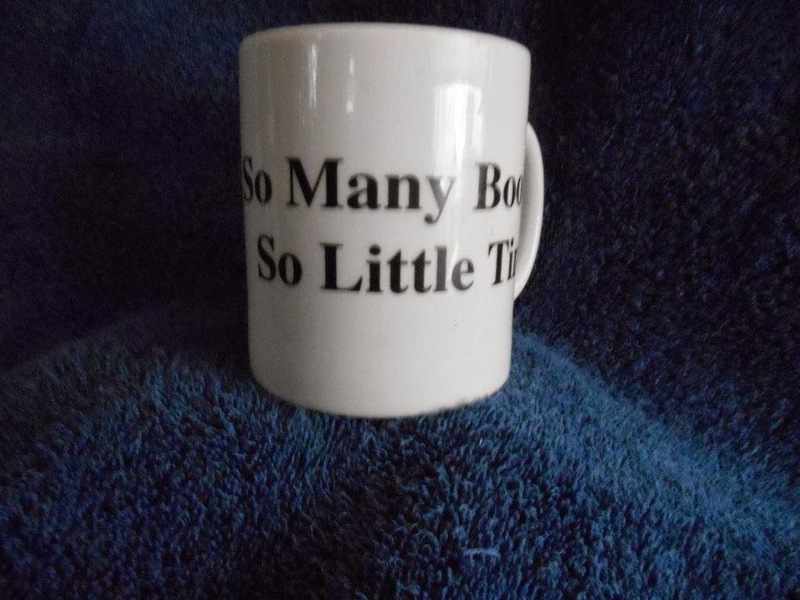 How true. It's part of the reason why I consider Keeping the Public in Public Domain important. I started this series while on sabbatical this past year. That project, Elder Stories, is still something I hope to continue along with my storytelling as it shows ways to maintain communication and offer a social event for patients with Dementia and Alzheimer's and their caregivers. Both the Public Domain work here and Elder Stories fit the Edward Gorey motto. At the same time I've now returned to my professional storytelling, combining it with a very full life beyond work. As a result this month revealed the schedule for this blog and Keeping the Public in Public Domain needs adjusting. To maintain the level of research I consider appropriate, it will appear at least monthly, often more -- as may be seen in last month's multiple postings expanding the topic of Victorian Christmas, including the October appropriate idea of "scary ghost stories" which are a part of that Victorian celebration. Sorry I can't predict it more closely. Lately I've been living a quote attributed to, of all people, Woody Allen: If you want to make God laugh, tell Him your plans. Here's November's entry in Keeping the Public in Public Domain. 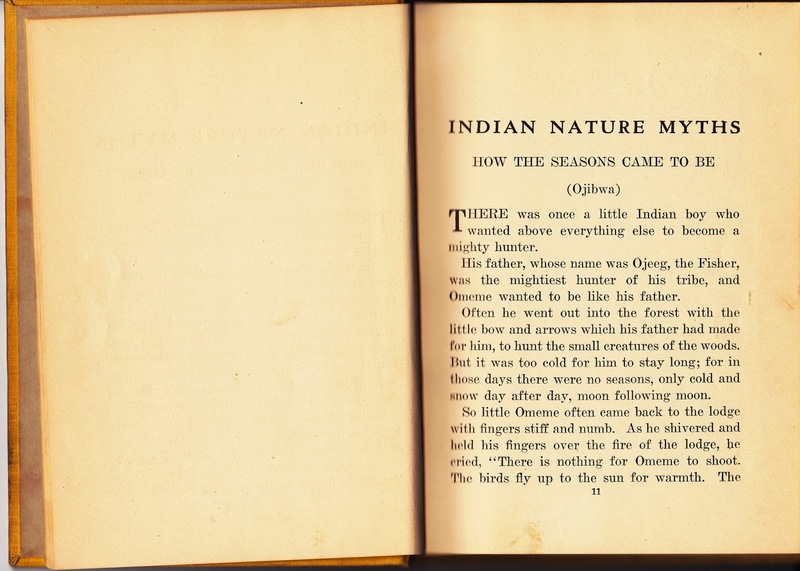 It came from a children's anthology, Indian Nature Myths, edited by Julia Darrow Cowles. 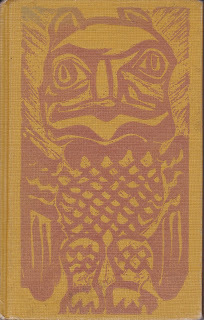 Ms. Cowles is best known for her 4 works of historical fiction at The Baldwin Project (Our Little Macedonian Cousin of Long Ago, and similarly Roman, Athenian, and Spartan), but she also has the fascinating The Art of Storytelling, with Nearly Half a Hundred Stories. It's worth downloading. Great for an eReader as she indexes her stories and does an excellent job of making them accessible to young listeners. 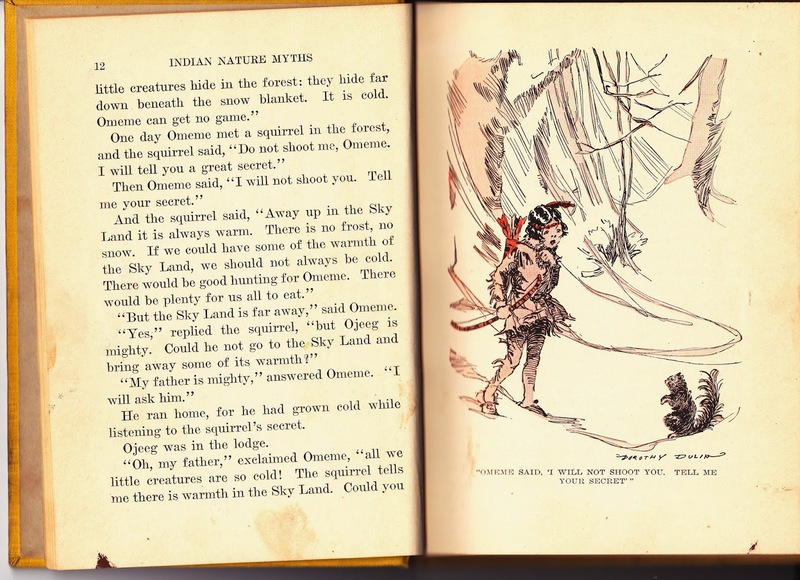 It's that reason why I'm including her version of a tale you should also read and compare in Henry Rowe Schoolcraft'sThe Myth of Hiawatha, and Other Oral Legends..., or at least this specific story, "Ojeeg Annung or The Summer-Maker". After Cowles' story I'll point to the difference in the two versions and why it makes the story a bit more "accessible to young listeners." 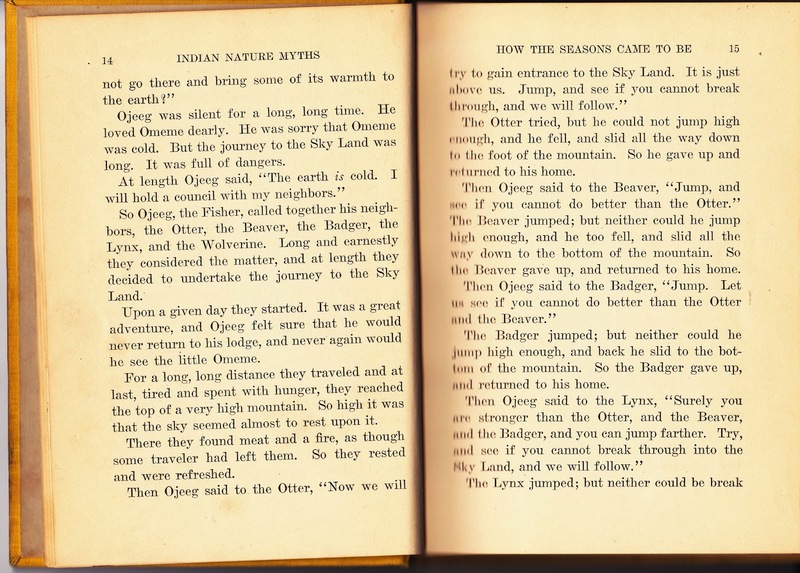 Go also to the version recorded by Henry Rowe Schoolcraft of "Ojeeg Annung or The Summer-Maker" and see how Cowles omits concepts such as Manitos. While worth exploring in the Anishinaabe or Ojibwe culture, it is a complex issue requiring a great deal of explanation beyond sharing the main ideas of the story. This does NOT mean Schoolcraft shouldn't be used. He tried faithfully to preserve the stories from the People of the Three Fires, the Anishinaabe. I'll say more about him later when I present his work. Cowles, to her credit and unlike too many public domain editors, at least names each Native American nation rather than just lump it under "Indian." While she doesn't list her sources, like Schoolcraft, trying to find the original sources for the stories she includes become so much easier if you know how to find standard works of folklore for the nations named. November is Native American Heritage Month. 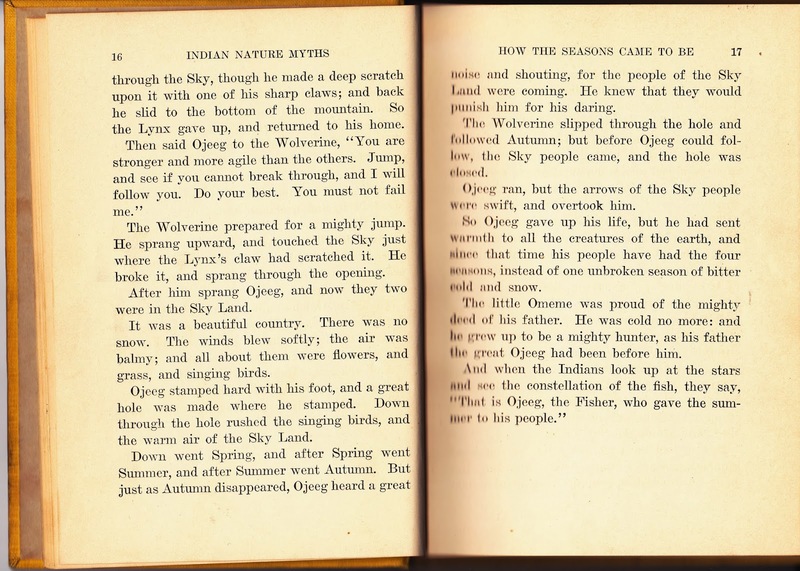 Combining this month's research with the Keeping the Public in Public Domain series, I want to recommend a reference for finding those solid works of Native American folktales. 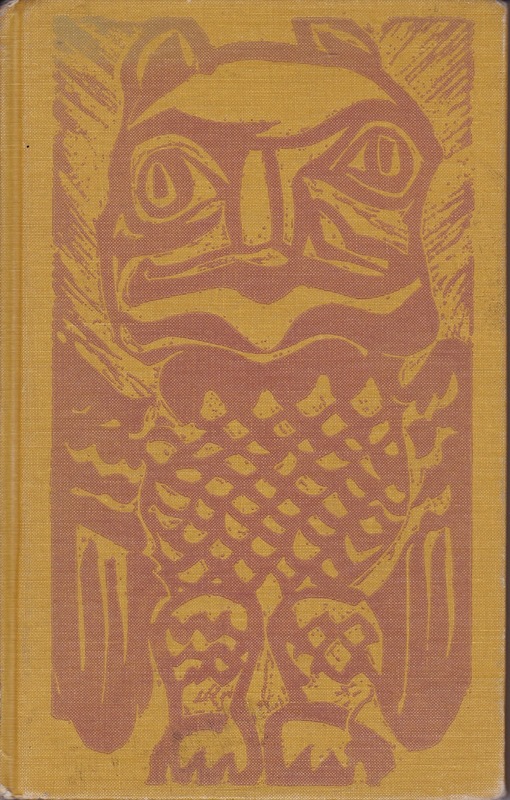 The Library of Congress in 1969 published Folklore of the North American Indians; An Annotated Bibliography compiled by Judith C. Ullom. The sensitivity behind choosing the best material is shown in its criteria: (1) statement of sources and faithfulness to them, (2) a true reflection of Indian cosmology, and (3) a written style that retains the spirit and poetry of the Indian's native manner of telling. If there is any flaw in the book, it's that it is unable to look beyond 1969. The book is out of print and has never been updated. The good news is the work can be found online thanks to Scholars Archive @ OSU (Oregon State University), so it still is in print electronically. This has been a combined post of both types of posts here -- a bit of research (normally more) and Public Domain stories. May we all remember the contributions of the Native Americans, our own First Nations, the original spirit of Thanksgiving, including how the national holiday began with the declaration by Abraham Lincoln in 1863 recognizing the celebration of 1621 and, as our seasons settle into Winter, may the gift of Ojeeg return to the land of the Anishinaabe.